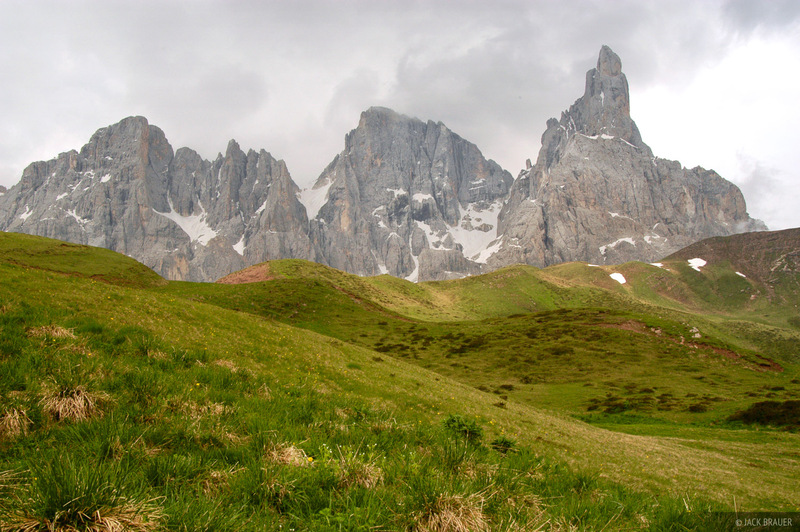 The ultra-jagged Cimon della Pala (3184 m), near San Martino di Castrozza - June. Never have I seen a mountain that takes on such a variety of different shapes depending on the angle of view. Photo © copyright by Jack Brauer.